"I came into the mix and I built up a good reputation but I never had that support, I had to build up everything on my own," says Miller, who is from the United States. He is now one of a small army of foreign golf instructors living and working in China, passing on their skills and knowledge to expatriates wanting to improve their swing, Chinese businessmen who want to broker deals with foreign clients on the fairway and ambitious teenagers who see golf as a gateway into an elite US college. Lessons don't come cheap. Miller charges 900 yuan ($147) for one hour's instruction, and the price only reduces if you buy more lessons. Few instructors charge less, plenty charge more. 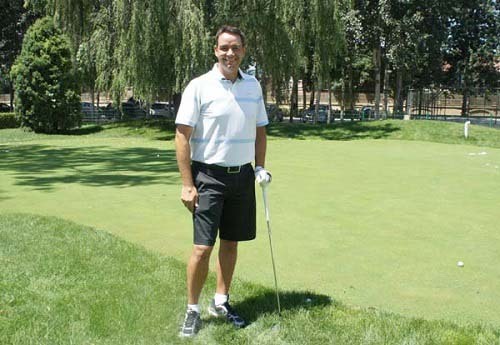 Ralph Howe, also from the US, arrived in Beijing in March 2010 and found a booming demand for golf instruction. "I did not have to drum up business," says Howe. "I came here with a company with a very good driving range and a very good location, I never had any concerns about finding clients." Howe, who played professional golf for nine years, says foreign coaches are passing on their knowledge of the game to locals. "I think in other countries there is a bigger base of knowledge and there is more experience coming over with the foreign coaches, but I think the Chinese coaches are getting better and better." Howe says he would not like to hazard a guess as to how many foreign coaches are currently operating in China, but says there are: "probably more than I think". "I know that every year more and more are coming." Andy Friis, the Norwegian co-founder of the Players Club, golf instructor and assistant coach to the Tianjin golf team, says the Chinese Golf Association has a system to provide accreditation for instructors. He says coaches can vary in their quality and skills. "I would say it is quite easy to become a coach in China," says Friis. "The foreigners, some have many years of experience but I would say most come and go."